What??? Yes, you read it right. 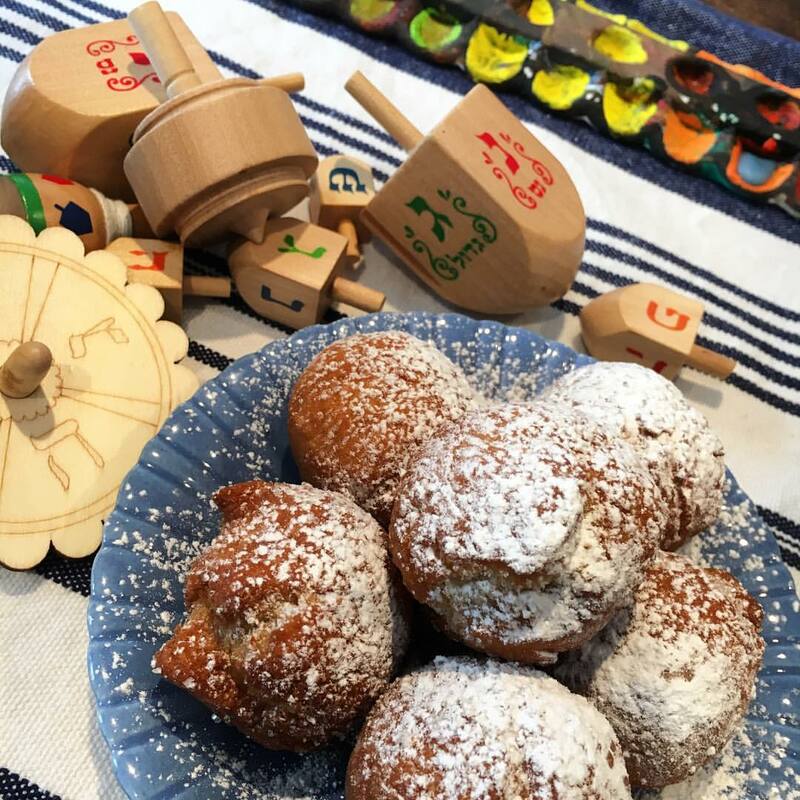 I’ve been toying around with this for a while now…how do I make GF donuts so that my Celiac-suffering friends and family can enjoy this Chanukah treat beloved by so many? This recipe gives you all the flavor of a traditional sufganiya (donut). The texture is much more dense, but there’s no gluten in here to make it fluffy and puffy! Still, these are delicious and get you into the festive, holiday spirit. Stir together yeast and milk in a bowl. Let it stand until it looks creamy, about 5 minutes. Mix in one cup of GF flour until all the liquid has been absorbed. Cover with a towel and let stand for an hour. Mix in 1 cup of GF flour and the remaining ingredients until the dough is smooth, about 5 minutes. I like to mix it by hand because I can really get it to develop. Cover with a towel and let it rise for an hour, until doubled in size. Punch down the dough and cut it into 32 pieces. Roll each piece into a ball. Heat 2 1/2 inches oil to 340 degrees in a small pot over medium heat. Fry the sufganiyot in batches of four making sure to constantly turn them so they brown evenly. This should take 2-3 minutes. Transfer the balls with a slotted spoon to paper towels to drain. Make sure the oil is back up to 340 degrees before starting the next batch. Serve with sauces on the side (jelly, chocolate, Nutella, caramel, custard, whipped cream) or inject fillings using a piping bag.